You never know where James McBride will take you in his writing, though you always know you are in the hands of a superb storyteller. His stories are surprising, marked by unforgettable characters, memorable dialogue, and striking descriptions. Above all they are honest, each imbued with a profound humanity expressed through deep compassion, rollicking humor, and an absence of any judgment. And his endings. They pack a punch. So much of McBride’s work is about what exists beneath the surface of our public lives, those secrets we hold deep within ourselves and our families. 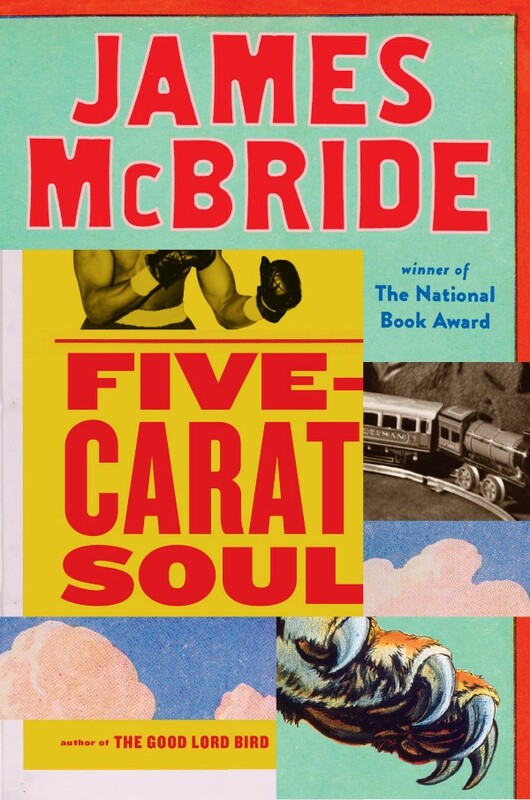 McBride has a remarkable ability to fully inhabit his far-ranging characters — from an old Jewish toy collector to a lion in the zoo to a child who thinks he’s the son of Abe Lincoln. In “Buck Boy,” a boy called Butter guides us through Uniontown, Pa., after a black teenager is shot by an Asian storekeeper. A preacher calls for a protest; the media descends on the town; a funeral almost doesn’t happen; a gravesite is visited. But the truth at the heart of “Buck Boy” is nothing like the synopsis. Through Butter’s eyes, the reader comes to understand the complexity of the community’s bonds and the characters’ motivations. So much of McBride’s work is about what exists beneath the surface of our public lives, those secrets we hold deep within ourselves and our families. His narratives operate against assumptions, stereotypes, and expectations to explore the full panoply of human experience. I love McBride’s stories very much. They are often hard — not to read, they are completely captivating to read — because they show us lives that are complicated, emotions that are raw, and people who defy easy categorization. It’s right that “soul” is in the title of this masterful collection because soul is the essence of every McBride story: there is soul in the rhythm of the narrative, soul in the lives he conjures, and soul in the poignancy of the endings. He is a storyteller I would follow anywhere. We was rehearsing over Mr. Woo’s Grocery and Chinese Take-Out one day when the following happened: We hear gunshots. First we stop playing and hit the floor because in The Bottom you don’t know who the good guy is. Then we hear Mr. Woo shouting downstairs and we run down and see him standing over Buck Boy Robinson. Buck Boy be about seventeen years old, I guess. Don’t matter now ’cause he laying on the floor dead as a doornail. Blood is everyplace. Buck Boy, dead as he was, still got a knife in one hand and fistful of dollar bills in the other. His hand was clutching that money tight, like he never want to let it go. Mr. Woo is a little old man who wear a yellow straw hat. Whether he’s Chinese or Korean I don’t know, but he let my band rehearse upstairs over his store for free. He holding a gun. He drop it like it’s a firecracker and walk around in a little circle, ringing his hands and talking in Chinese or whatever. I couldn’t understand a word. Two cops come quick, chase everybody out the store, close it down and take the gun from the floor. They leave us inside because we are witnesses. The cop ask Mr. Woo what happened. “He try to rob me,” Mr. Woo say. He don’t look too hot. His face is pale and he look like somebody punched him in the stomach. The cops have a heck of a time prying that money out of Buck Boy’s hand. Finally they get it out and hand it to Mr. Woo, but the Chinese shake his head. “Just get him out,” he say. He don’t look at Buck Boy when he talk. By this time the whole neighborhood show up, including Buck Boy’s sister Victoria, who be shouting and screaming outside Mr. Woo’s store. The cops ask us questions but we really didn’t see nothing, so the cops call the black van to come get Buck Boy. The van take its time to get there, but Buck Boy, he ain’t in no hurry now. So we sit there a half hour: Me, Dex, Goat, Bunny, Dirt, the cops, Mr. Woo, and Buck Boy. I seen that Buck Boy was wearing a brand-new pair of white and purple sneakers. Nobody around here liked Buck Boy too much. He always be looking for trouble and he always be strung out on something what they call PCP or whatever that makes you lose your mind. Drugs was his main line, but he’d steal anything. Steal a purse, steal the chrome off a car, steal a whole car. The worst he did was he stole our whole school bus two years ago when we was on it. He crashed it into a light pole on the Boulevard and bang us up pretty bad and run off. I don’t think he went to jail for it. So nobody cry too much when they carry Buck Boy from Mr. Woo’s Grocery except for his sister Victoria. It’s kind of sad, because his mother never pay him no mind from when he was a little boy, and I heard people say she is strung out on drugs herself. That whole Robinson family is bad news. Rev. Jenkins cover a lot of ground just standing in one place. He’s a big, fat man. I seen him undress at the pool one time, and it took me five minutes to see all of him. He got a slicked-back hairdo and he wearing one of his fine suits. He sports some of the most killing suits you ever seen. He’s going with the pink pinstripe suit today, and when he bust through the crowd people bounced off him like he was a beach ball. He hit the door of Mr. Woo’s the same time the newsmen do, but Mr. Woo had locked it and pulled the shades down. “Oh hell,” Rev. Jenkins say. Then he starts talking loud about Buck Boy being shot to death, poor ol’ Buck Boy, and it was a shame he was so young, and that he was tired of the foreigners always coming to The Bottom and starting up stores and treating the blacks like they’re nobody after black folks spend all their money on them. And after a while he make it sound like Mr. Woo come all the way over from China or wherever just to shoot Buck Boy. When he say that, the newsmen whip their heads up like a hunting dog who sniff a fox in the wind. They pull out their cameras and notebooks and turn on their tape gizmos and rush him. “What kind of investigation?” one newsman ask. He got silver hair whipped up so much it look like cotton candy. “You mean a grand jury investigation,” one newsman say. “Is the march tomorrow?” a news lady holler out. She’s a blond lady. I seen her on TV before. She look so good on television you want to kiss her, but in person she got so much powder on her face she look like a dustbag from a vacuum cleaner. On TV she looks young, but in person she look like she was born in the year of only God know. If she was two-faced, I think she could’ve used the other one. I was just so shocked to see her that way, but my friends Goat and Bunny was in love and can’t take they eyes off her. Now the crowd is fired up and newsmen are filming the whole thing. Everybody in this crowd I just about know, and they all know Mr. Woo ain’t like the people from Sun Yung Restaurant three blocks down who put bulletproof glass over their counter and take your money and make sure not to touch your hand before they pass out the food to you and treat people from The Bottom like they ain’t nobody, but everybody’s laughing and watching Rev. Jenkins. He fun to watch when he get his wheels spinnin’. He really hot now. Rev. Jenkins point to Mr. Woo’s store behind him. “We will march here tomorrow at this same time to see that this boy gets justice and this man gets driven outta here. And until he leaves we ain’t quitting. We shall overcome. We shall overcome. We shall overcome! We SHALL-NOT-BE-MOVED!” and he shout them last words so loud one newsman with headphones yank them off. The funny part is, if Buck Boy Robinson saw Rev. Jenkins in his fine pink suit walking down the Boulevard at night, he’d rob him down to his socks no problem. And Buck Boy would never protest for Rev. Jenkins if Rev. Jenkins was shot for holding up a store. The next day The Bottom was jumping. Everybody and their brother show up. A bunch of white people come from town and from all the big towns around show up wearing T-shirts that say CARAO, which means Coalition Against Racism and something. The Guardian Angels like the kind they got in New York City come all the way from Pittsburgh, and more newsmen than I ever seen before. Fat newsmen. Old newsmen. Black newsmen. I even seen newsman from China or Japan and look like Mr. Woo. They go all over the neighborhood asking about Buck Boy and Mr. Woo, except they don’t call him Buck Boy no more. They call him Regis. I never knowed his real name was Regis. Rev. Jenkins get a bunch of people walking around in a circle in front of Mr. Woo’s store, but Mr. Woo was still closed. They marched anyway singing, “We Shall Overcome,” and the TV cameras filmed it, but it wasn’t too exciting. I didn’t hardly know none of them protesters except Victoria Robinson and Rev. Jenkins. My whole band was there. The Five-Carat Soul Bottom Bone Band. Every member, even some of the old ones we threw out like Pig who don’t never rehearse and Adam who they call Dirt who always smells funny. It was them two plus Bunny, Dex, Dex’s brother Ray-Ray, Beanie, and Goat. We was in a fix. Our drums and guitars and Pig’s saxophone was locked over Mr. Woo’s store, ’cause he was holed up someplace tight and outta sight. We wanted our gear, but nobody was listening to us. They was busy selling beer and hot dogs to all them new people, The Guardian Angels and the CARAO T-shirt people and the white people from Morgantown and Pittsburgh and few black folks I never seen before, not people from The Bottom. Not too many people from The Bottom who knew Buck Boy would march for him. It wasn’t more than forty people out there, but that night I see it on television and it looked like a real protest, with Rev. Jenkins out there leading hundreds of people, chanting and shouting and singing “We Shall Overcome” with Rev. Jenkins out front hollering and screaming. My mother watched it too and she laugh and say, “Hillary is a fool.” Hillary is Rev. Jenkins’s real name. My mother went to high school with him. Next day The Bottom fill up with even more newsmen and protesters, and it’s so many people swilling around on the Boulevard with new signs and more songs they stop traffic. They talking about burying Buck Boy soon, and the television people interview Buck Boy’s mother who say she don’t have no money to bury him. Next thing you know all sorts of money coming in. My sister Sissie knows Buck Boy’s sister Victoria and Victoria told her that so much money come over the Robinsons’ house that Mrs. Robinson needed three shoeboxes to put it in. She say one rich black man from Pittsburgh brung $1,200 cash to the house. Victoria said her mother bought a brand-new refrigerator plus a giant TV set and some new couches. Buck Boy died on a Saturday. By Thursday The Bottom was still so full of newsmen knocking on doors that folks was running from them, so the newsmen started interviewing each other. Rev. Jenkins got his friend preachers to bring their churches from places out of town to keep the protest going, and more white folks like college students from Morgantown, West Va., showed up, yelling, “We’re not taking it anymore!” They seem like nice people. I sure hope they leave The Bottom before dark. They don’t get around to burying Buck Boy till the following Monday because they was fussing over a place big enough for the service. First they planned to have it at the Gilbert Funeral Home on the Boulevard, but it only fits about seventy people. Then they move it to Mr. Wallace’s funeral home on Simmons Avenue, but that got Rev. Jenkins upset. He say why not take it to his church, which holds four hundred people? They fuss about it and fuss about it even on TV and it make me a little sick. They fightin’ over who can bury Buck Boy Robinson of all people. Nobody did nothing when Leonard Evans got shot in the back on Washington Avenue by that white cop for nothing, or Stella Brooks got raped by her father and he got away with it. But Buck Boy, who robbed a school bus and tried to rob Mr. Woo, he’s a hero now. The day of the funeral there must have been five hundred people packed inside Rev. Jenkins Bright Hope Baptist Church and a ton of people outside who couldn’t fit in shoving each other to get to the front where me and the rest of the band had camped out. They put me up front because I play the organ, but they didn’t need me. They got a special organist all the way from Cleveland to play. Boy, he was something. He revved up the crowd good with them old songs. His was wearing the shiniest shoes you ever saw, and when he played he put his shiny shoes aside on a nice clean handkerchief on the floor next to the organ and played the organ pedals in his socks. And them socks didn’t have nar hole in them. Meanwhile, Rev. Jenkins was up front talking to the reporters from the pulpit till the last minute and he had a long time to talk to them because nobody had brought Buck Boy into the church yet. Well, we just waited, everybody is standing around waiting, and waiting, and singing, and after a while the big-shot organ player from Cleveland he runned out of songs and had to get something to drink, and he walked off the organ, and now it’s just people standing ’round. The body of Buck Boy is very late now, and finally we hear the crowd holler outside and we know Buck Boy’s coming. Something about the noise the crowd made give me a very funny feeling, and when they brought Buck Boy I know why they hollered. They had him in a pine box, and the first thing one of the newsmen say is, why that sure don’t look like much of a casket. Then somebody laugh, and then somebody else laugh. Buck Boy’s sister and uncles and about a hundred cousins is up front and everyone is real quiet, just looking at that little box, with four little handles on it, no fancy-looking paint, nothing. You could see it was the lowest, cheapest casket come from out of Charlie’s Bargain Store someplace. The funeral men carrying it set it down in front of the church and took off like they was ready to duck bullets. Rev. Jenkins is looking around for somebody to open the casket, but nobody move. Finally he open it. Buck Boy look fine. Got a nice suit on, but that casket gotta go. Rev. Jenkins look around the front rows and ask for Buck Boy’s mother, but she ain’t there. I see Victoria Robinson standing there shrugging, so Rev. Jenkins got on the podium and sprint through his sermon like nothing’s wrong, though he got one of them “We’ll-get-to-this-later” looks on his face. Soon as it’s over the funeral men come back and lift Buck Boy to the hearse while Rev. Jenkins march out of church in his robes hollering about the Gilbert Funeral Home and all the money they gave Mr. Gilbert for the funeral. There was about a hundred people following him and they was hot. Mr. Gilbert’s funeral home is right around the corner. Rev bang on the door and Mr. Gilbert open up and peek his head out. He see that mob and he don’t open the door all the way. He’s a spooky old man and he smell funny and he’s always cranky, but his son Adam who they call Dirt plays guitar very good. Nobody but us wants Dirt in their band because he smells funny and everybody knows he works with dead people. “I oughta skin you, Randy!” Rev. Jenkins say to Mr. Gilbert, and the crowd behind him raise up like they ready to trample Mr. Gilbert. “By God, we had four thousand dollars in donations for that boy,” Rev. Jenkins snaps. Rev. Jenkins, he turned and looked at Victoria Robinson, who had marched over there and was standing right behind him. “My mother said she sent the money,” Victoria say in a little voice, but she got a little jump in her voice and right then and there I knowed what happened. The Rev bite his lip and sway in his robes, then reach down and pull up his church robe to get at his pants pocket. “I’ll pay for the suit and casket right now myself,” he say. It took all afternoon to sort out what happened at Mr. Gilbert’s funeral home, for now everyone knowed Mrs. Robinson took all them donations and used them to buy televisions and couches and dope and whatever else. There was a lot of people in that crowd that wanted to find her and beat her brains out, but Rev. Jenkins said let it go. He told the newsmen to not say anything about it and a lot of them said they wouldn’t but they did anyway. The Rev didn’t care. He had his hands full keeping the folks from trying to fry Mrs. Robinson, and I think they would’ve gone no matter what if it wasn’t for Victoria Robinson. That business tore her up and you could see it. She was only fourteen but she growed up right then and there. She really ain’t so bad like the rest of them Robinsons. After a while Rev. Jenkins say he had to go to the graveyard and say the last words over Buck Boy, so a bunch of us ride in the church van with him. Me, Mr. Gilbert, Victoria Robinson, my sister Sissie, Goat, Adam, Bunny, Dex and his brother Ray-Ray, just about the whole Five-Carat Soul Bottom Bone Band. When we got to the graveyard it was almost dark outside and very quiet. The graveyard men had left the gate open, but there was nobody around and you almost couldn’t see because there were no lights and it was getting dark and lonely with the wind blowing. Rev. Jenkins drove in on the paved road and said it suddenly occurred to him that he didn’t know where to find Buck Boy’s grave ’cause he’d rushed out of church before anybody could tell him where it was. But I knew, and I told him to keep driving around those little curvy roads till I told him to stop. When I saw Mr. Woo standing by himself on a little hillside with his yellow straw hat in his hand, I pointed and told Rev. Jenkins that’s where Buck Boy is buried. And that’s where he was. BUCK BOY by James McBride. Copyright © 2017 by James McBride. Published by arrangement with Riverhead Books, an imprint of Penguin Random House LLC.